With Single sign-on (SSO) you do not need a new user name and password. Simply use your university or institutional login details. 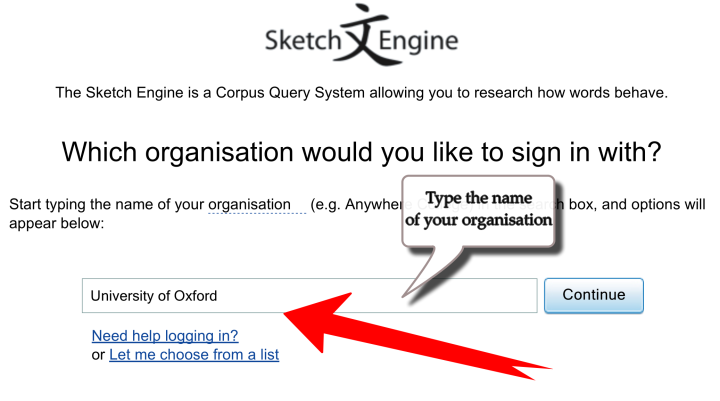 Your login details will not be shared with Sketch Engine. the user can log in anywhere – work, home, internet café etc. For price comparison please refer to our price list. How to log in with SSO? 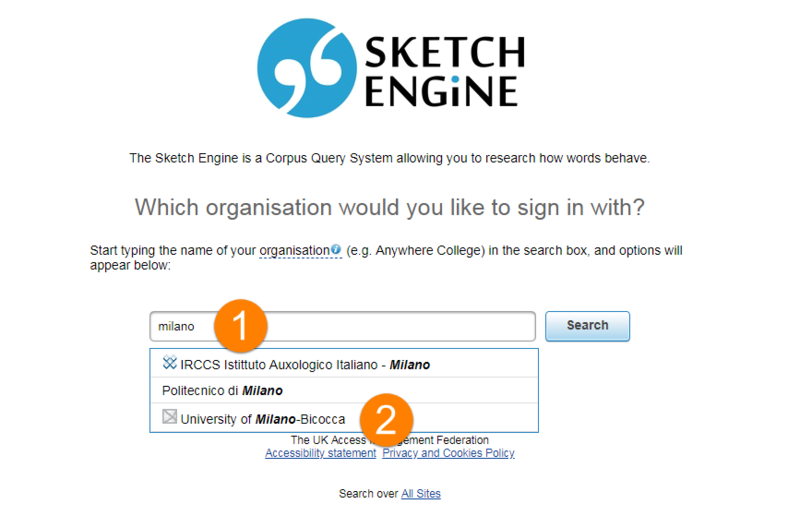 Select SSO or Institutional login on the Sketch Engine login screen. Use your institutional login details. After successful authentication, you will be redirected back to Sketch Engine. Can my institution use SSO? eduGAIN – interconnects identity federations around the world. Which user interface do you use? Type a few letters from the name of your university or institution. When you see the name, select it by clicking it. Click Continue and the login page of your university or institution will open. 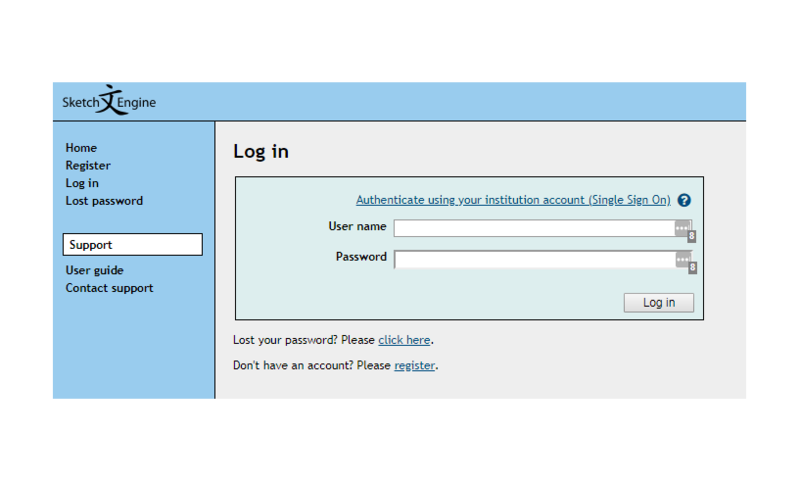 Use your university or institutional login details to authorize yourself with your university/institution. 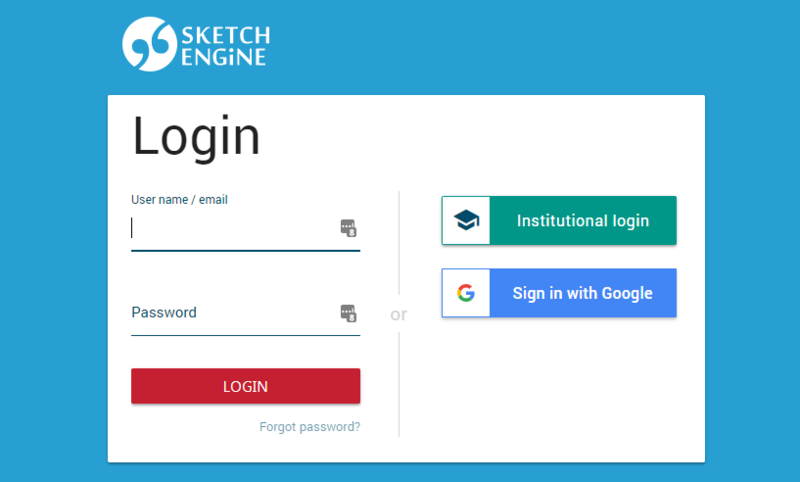 After successful authorization, you will be redirected back to Sketch Engine as a logged-in user and you can start using it. Use your username and password issued by your organisation to log in. You will be redirected back to Sketch Engine. displayName (urn:oid:2.16.840.1.113730.3.1.241) – optional (enables person identification within the organisation, the user will be asked to supply this information if not released by the identity provider). To find if your institution meets the requirements, SAML2 attributes released by an identity provider can be checked in the Attribute Viewer. An institution can be checked in the eduGAIN Entities Database for membership and SAML 2.0 support.